The report suggests that Intel’s server processor market share is likely to fall below 90% by the end of 2020 which means that AMD would manage to capture at least 10% of the market share by that time. 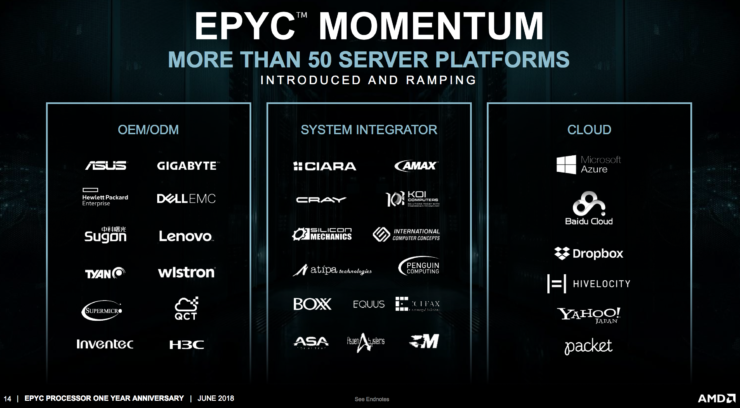 The reasoning behind this is that AMD’s EPYC processors continue to secure more deals and orders from server vendors and cloud service providers. 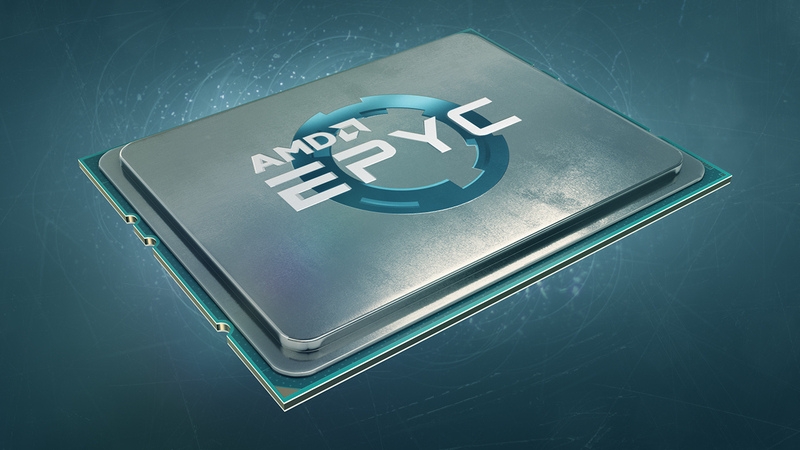 Because of the EPYC series’ strong price/performance ratio and AMD’s plan of releasing its next-generation 7nm datacenter processors codenamed Rome later in 2019, demand for the AMD-based servers has been rising. 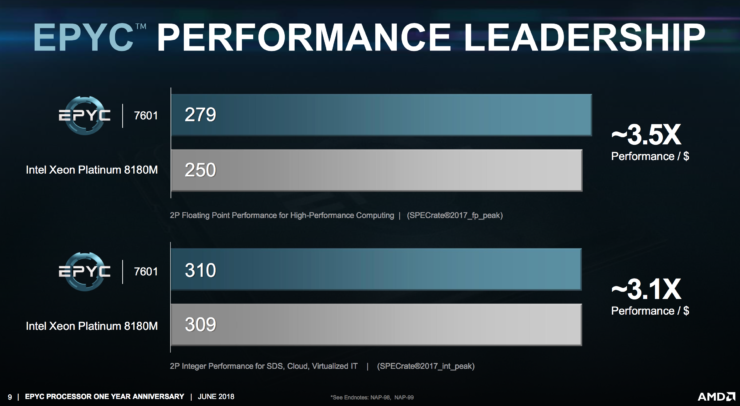 Cloud providers such as Amazon are continuously investing more EPYC platform rather than Intel Xeon CPUs. Amazon recently announced new Amazon EC2 instances featuring custom AMD EPYC 7000 series processors. With AMD EPYC CPUs, these M5ad and R5ad instances run with higher CPU performance (2.5 GHz SKUs) and feature low latency NVMe storage subsystems. 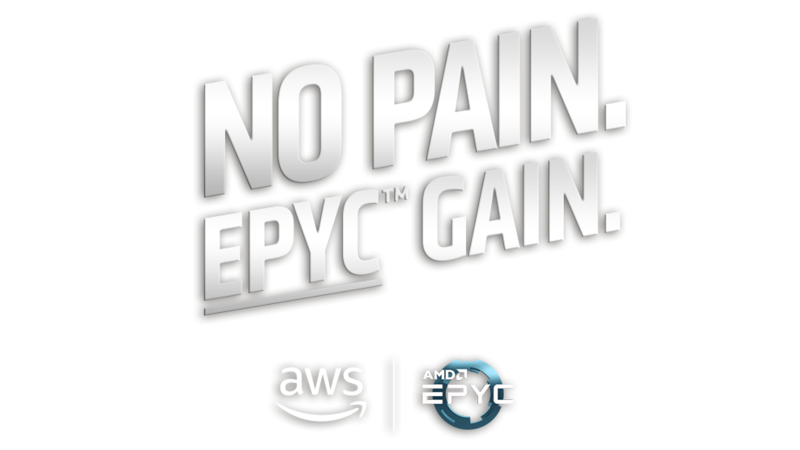 Amazon EC2 instances now feature AMD EPYC 7000 series processors with an all core turbo clock speed of 2.5 GHz. The AMD-based instances provide additional options for customers and may offer a better fit for many workloads that do not fully utilize the compute resources. By optimizing the balance between compute resources and utilization, these instances provide a 10% lower cost than comparable instances. In addition to Amazon, Japan-based NTT Data will also be procuring datacenters with AMD EPYC processors. There’s also the upcoming Atos BullSequana XH2000 Supercomputer which will be using a total 3125 AMD EPYC Rome 7nm processors with around 200,000 cores and 400,0000 CPU threads and is expected to finish by 2020. Considering the traction that AMD EPYC CPUs are getting, it’s reasonable to say that the 10% figure is very conservative as we could be looking at an even higher server market share by 2020 for AMD CPUs given that they land in more orders from server vendors. AMD’s market share for Q4 2018 was 3.2% and that was a huge gain from their 2017’s 0.8% market share and null prior to EPYC’s release. 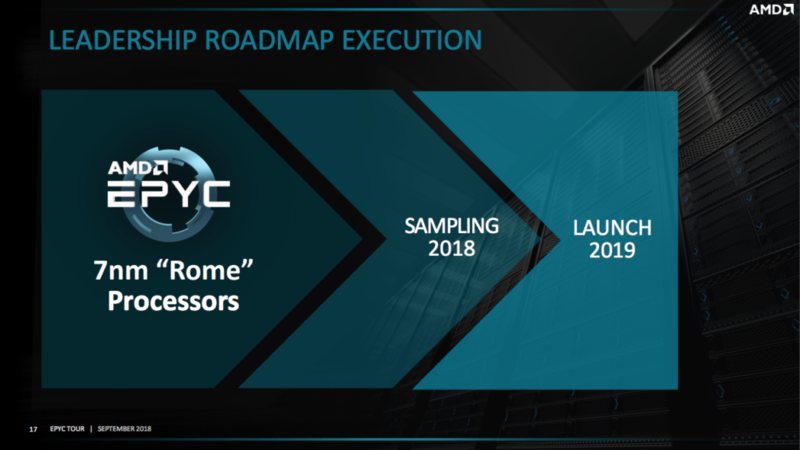 AMD was expected to capture around 5% market share with EPYC Rome processors by 2019 but it looks like they’ll now be going beyond that given the popularity of their EPYC lineup. One of the main reasons being the highly competitive price to performance ratio. 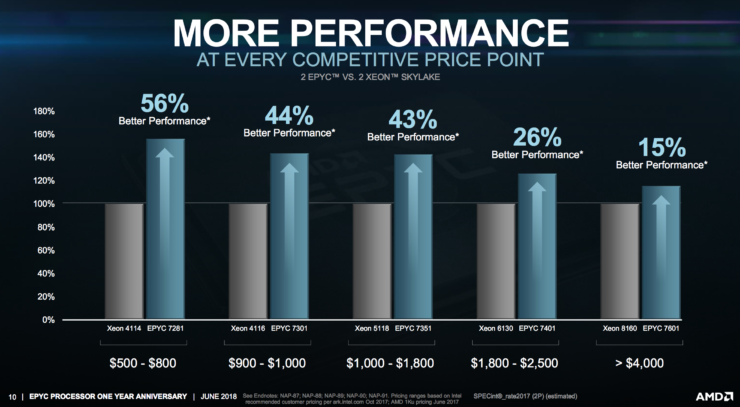 AMD’s current line of EPYC CPUs is highly competitive at every single price point, offering better performance and efficiency than the competing Intel Xeon lineup. 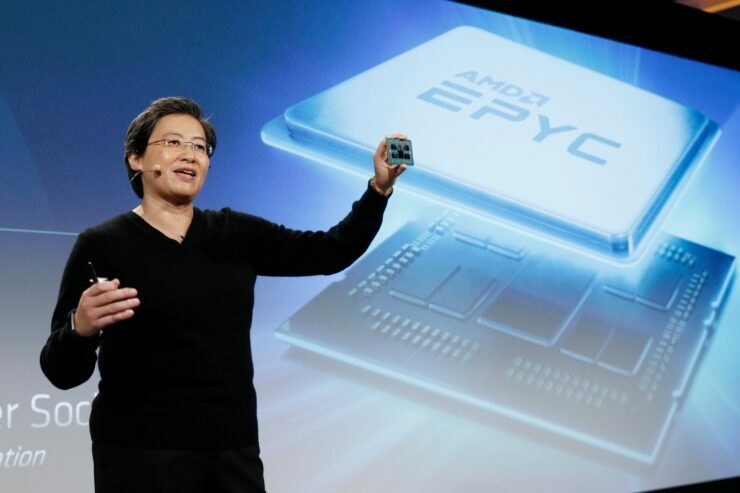 Lisa Su has also made a point to re-iterate EPYC’s greatest strengths calling it the “highest core count in the industry”, “the highest IO count in the industry” and the “highest memory configuration in the industry”. Also worth mentioning is that before Brian Krzanich resigned as the CEO of Intel, an interview surfaced where he indicated that it was Intel’s job to not let AMD capture 15-20% market share but considering the increasing architectural lead and process node advantage that AMD is gaining over Intel, that figure doesn’t sound like a far cry from now. 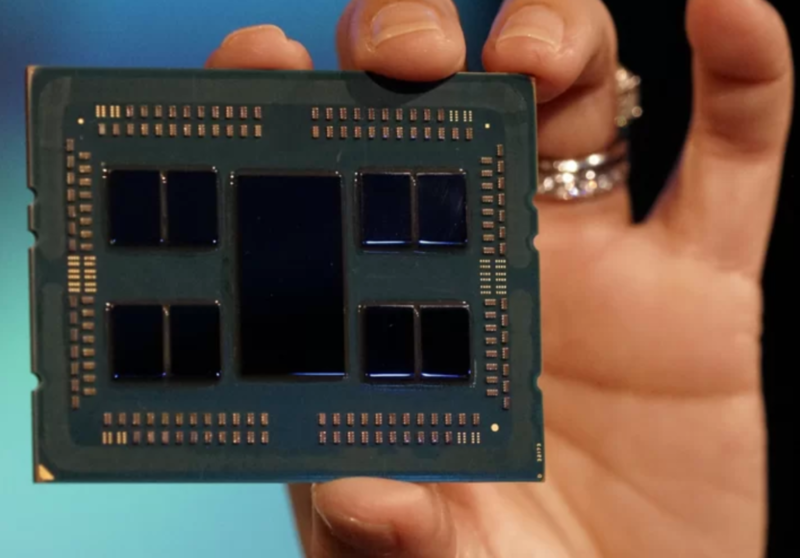 It should also be pointed out that when AMD was designing their 7nm Zen 2 based EPYC Rome processors, they had internally estimated what the performance of Intel’s next-gen server part would be like. The next-gen 10nm part known as Ice Lake-SP is scheduled to launch for 2020 with Cascade Lake-SP and Cooper Lake-SP being offered as an intermediary solution based on 14nm (++) while the Cascade Lake-AP and Cooper Lake-AP would be designed as a multi-core HPC part. “Rome was designed to compete favorably with “Ice Lake” Xeons, but it is not going to be competing against that chip. We are incredibly excited, and it is all coming together at one point.” – Forrest Norrod. “Our plan for the Naples-Rome-Milan roadmap was based on assumptions around Intel’s roadmap and our estimation of what would we do if we were Intel,” Norrod continues. AMD confirmed that their EPYC Rome processors have been designed to compete favorably against Intel’s Ice Lake-SP parts. This only means that AMD would have an even greater edge versus the Intel 14nm++ server parts arriving this year. There’s no doubt that AMD made a grand comeback in the server space with their highly disruptive EPYC platform. Returning right on time when Intel was at their most fragile position with little to no progress being made towards the 10nm process development, stagnant IPC evolution and very less impressive feature updates on the server side. 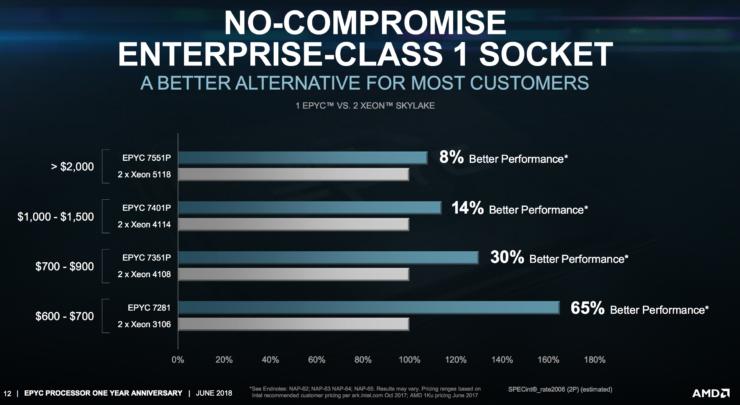 One of the biggest advantage that EPYC Rome processors will have over Intel parts is that they will be socket compatible with EPYC Naples so all of those vendors who have been using Naples would get drop-in compatibility for AMD’s next-gen 7nm EPYC Rome processors on day one. Which CPU segment do you think has attributed to the biggest success in AMD's market share?